Home Decor Pallet Boards are pretty trendy these days! 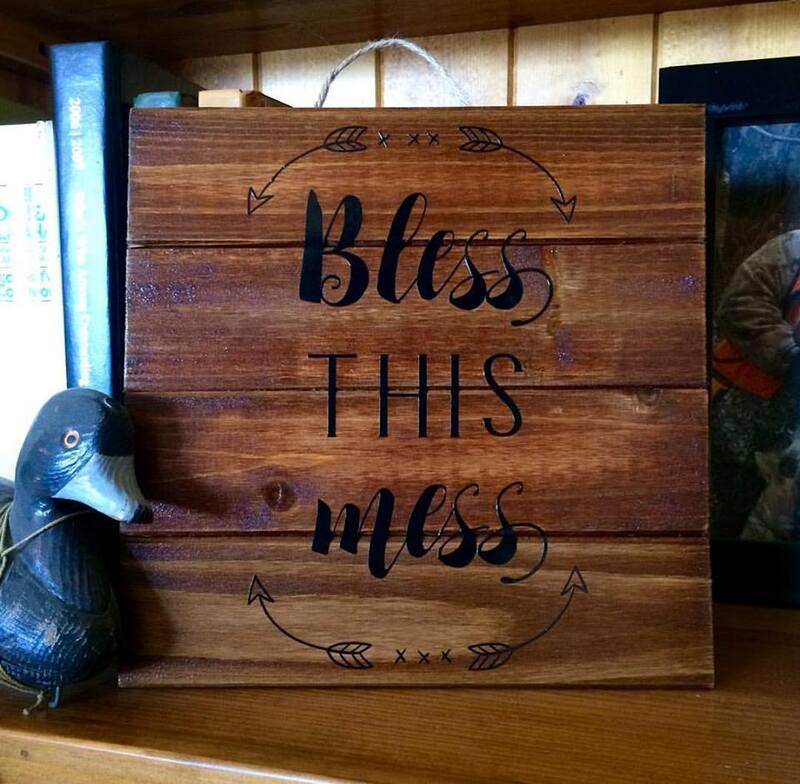 I created this one using a Wooden Pallet that I purchased for $2.00 at my local Michael's store! To transform the Pallet, I sanded it, then added some stain and a thin coat of Clear Poly. I used the Silhouette Cameo to cut Bless This Mess from Black Vinyl. After weeding the vinyl, I adhered the vinyl die cut to the Pallet using Transfer Tape. I added an additional coat of Clear Poly so that it would be easy to keep the pallet dust free.